Change management of off-the-shelf applications has always been challenging. The problem usually starts in the very beginning when off-the-shelf applications are customized to meet the customer requirements. When a software supplier sends an upgrade, the changes made by the customer are out of sync and a cumbersome manual process of retrofitting takes place. TD/OMS with its built-in functionality, called Fusion can manage changes to not only in-house developed applications but also any IBM i off-the-shelf applications coming from third parties. Before an upgrade of the off-the-shelf application, users want to know what the impact will be on their custom changes. 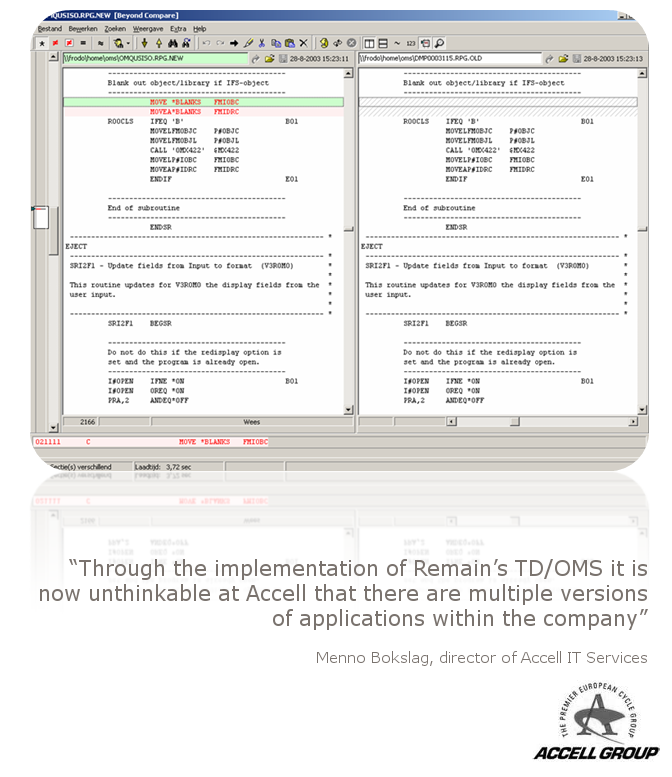 Fusion can help them to determine this impact and to generate the relevant work within TD/OMS. When customers start to maintain their own version of the ERP system it slowly drifts away from the maintained version of the supplier. 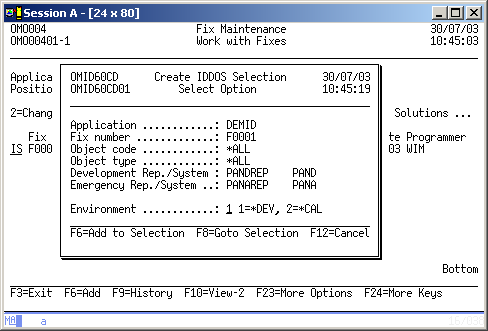 In many cases, retrofitting custom changes back into the supplier version proofed to be a labor-intensive process which combined with the lack of commonly available testing tools, still a problem in 2015, and therefore the need to perform laborious manual integration testing led to the adage “If it ain’t broke, don’t fix it”. That’s how vendor software versions were put on the shelf and how companies usually stopped upgrading their applications with changes from the supplier. When the need to move to a new version of the supplier arises (for example when the upgrade would bring significant benefits to company operations), the customers faces a major challenge. TD/OMS Fusion Pro can overcome these challenges.